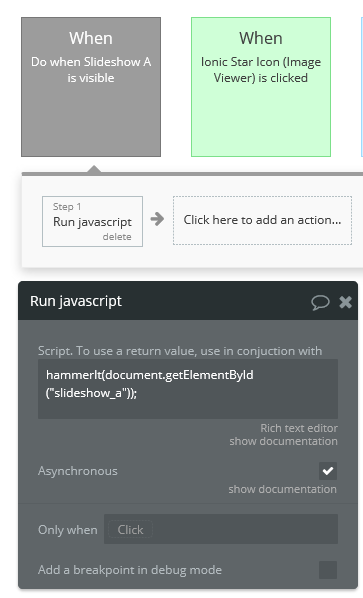 Bit of a “not-so-bubble” type of question this is, but I was just wondering, has anyone used Hammer.js and have it working with Pinch zoom on any type of element in Bubble if it’s given an ID attribute? I’ve been trying since day dot to get a nice pinch zoom working on a specific element ID and not have the whole screen zoom in and out. Ended up revisiting it again today, not managed to get any further though! I don’t know a lot about hammer.js, but I think it still should work. Try applying the script to the .parentElement of the image or whatever you’re trying. It seems Bubble always places a div element, and I’ve had to target that instead for some things. Thanks for the reply Tim, I’ll try that and have a play with it. I actually managed to get pinch zoom working with Bubble’s own slideshow on mobile devices! Feels great! Thanks for passing along this tip.